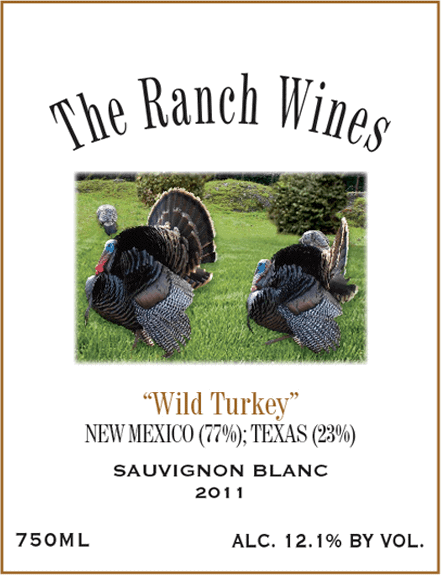 The Ranch Wines 2011 Wild Turkey Sauvignon Blanc is a primary blend of Sauvignon Blanc fruit from New Mexico, with a hint of Semillon grapes. 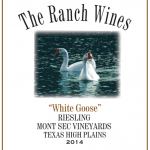 This wine displays a brilliant star-bright, light straw color and carries aromas of fresh Honeysuckle, lemon zest, apricots and pear with an off-dry sweetness that rounds out the finish. 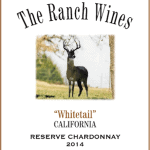 Its has a generous mouthfeel and is a great picnic wine.